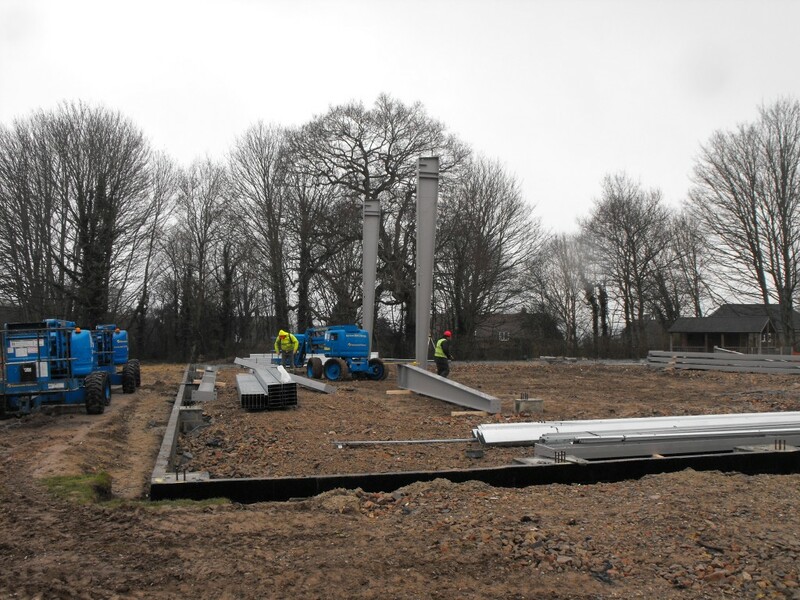 The new sports hall at Claremont Senior School, Bodiam, began to take shape last week with the delivery of the steel frame from Luxembourg. 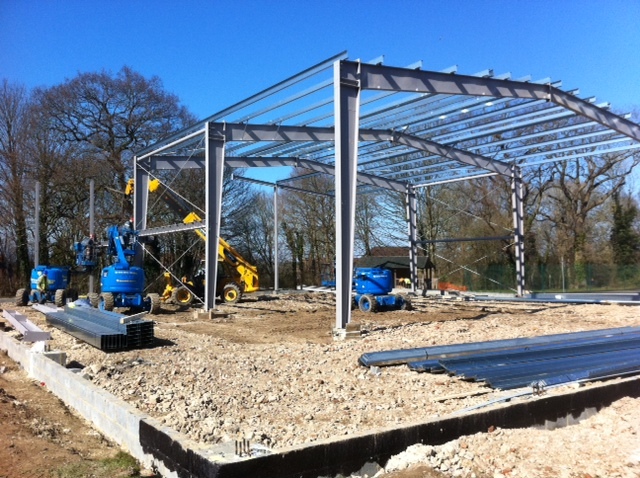 The experienced steel erection team will take only a few days to have the whole frame constructed and a matter of weeks to clad the building. 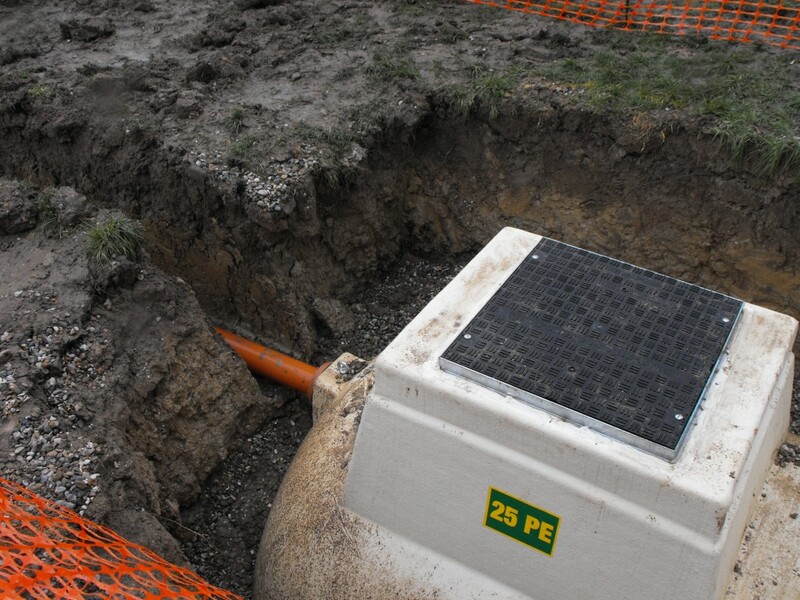 The unseasonably cold weather does not actually have a hindering effect on the construction site, as the freezing temperatures kept the ground cold and allowed for quick ground works. Up until now, most of the work has been covered over again. The new digester is in the ground and the drainage pipes are in place. The hall is larger than average, with 4 badminton courts between the five steel frame sections, changing facilities for boys and girls, several teaching rooms and a large elevated viewing gallery overlooking the hall. 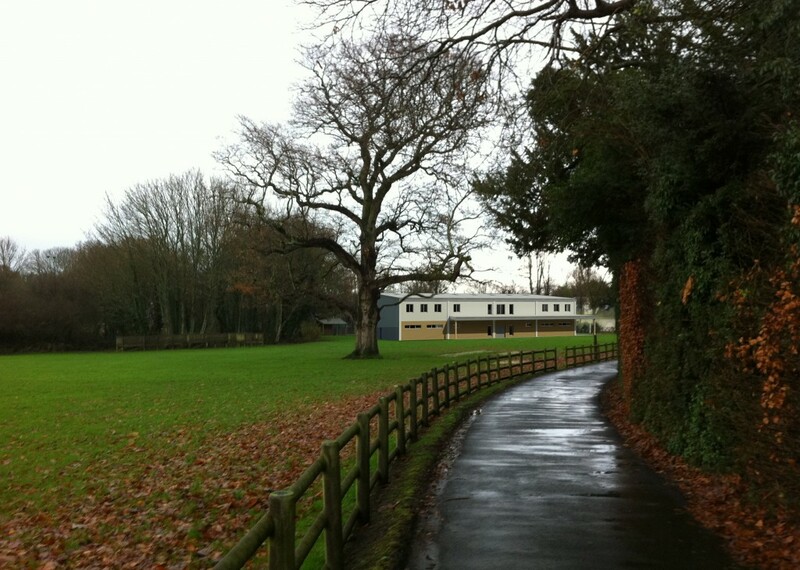 The hall will be open in time for the new school year in September 2013. The first steel goes up. The frame goes up over a few days. Impression of the view from the entrance to the school.